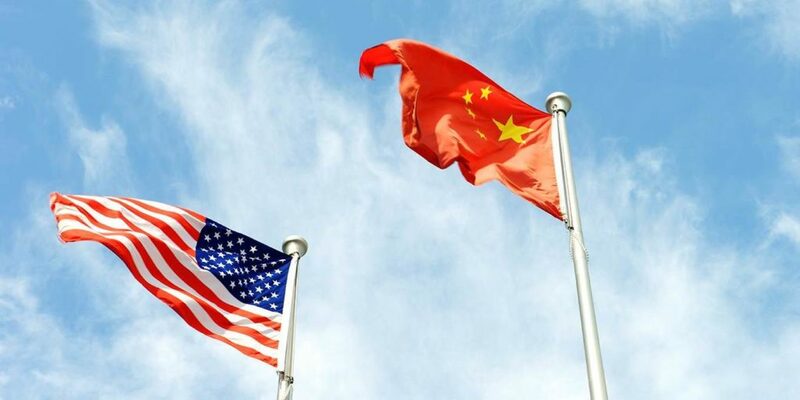 WASHINGTON, DC – It is often said that the unipolar world order, dominated by the United States, that emerged at the end of the Cold War has lately shifted to a “multipolar” arrangement, owing to the growing geopolitical “weight” of countries such as China, as well as many emerging economies. But the actual metrics by which we weigh global powers are typically discussed in only vague terms, if at all. There is no agreed scale with which to measure a country’s international weight relative to others. For example, the International Monetary Fund and the World Bank use economic metrics, such as GDP and trade volumes, that are not standardized across other institutions. The United Nations does not even use the same metrics across all of its agencies: in the General Assembly, every country is weighted equally, and there are no veto rights; in the Security Council, the five permanent members (China, France, Russia, the United Kingdom, and the US) have veto rights. At a time when multilateralism is under increasing strain, it is useful to understand the underlying shift in key weights and try to judge how much of what we are experiencing reflects structural shifts in these weights and how much is simply due to independent policy changes. Three metrics of countries’ international weight stand out: the size of the population; the size of the economy, measured by GDP at market prices (GDP in purchasing power parity terms is more useful for measuring welfare); and military might, measured imperfectly by defense expenditure. If we consider all three metrics to be equally or similarly important, the world’s most “important” powers would seem to be the US, China, the European Union, Japan, India, Russia, and Brazil. Of course, there are many questions, beginning with whether the EU – which negotiates trade arrangements as one entity, but comprises members with sovereignty in many areas – should be regarded as a unified actor in global affairs. Moreover, it is certainly not clear that the three metrics should, in fact, be regarded as equally important. In any case, these three metrics represent a useful starting point for comparing the configuration of global weights in 1990, when the so-called unipolar order was emerging, and 2017, when the contours of a multipolar order should be visible. These figures highlight, first and foremost, the rise of China, whose shares of both GDP and military expenditure have increased considerably (from 1.7% to 15% and from 1.6% to 13.8%, respectively). India has also increased its share in both areas, but from a much smaller base (from 1.4% to 3.3%, and from 1.4% to 3.6%, respectively). No other power has achieved a similar increase in “size.” The US has lost a little in terms of both GDP and population but remains the biggest power by far when military might is taken into account. With a (declining) population and GDP of just 2% of the world totals, Russia is very “small,” although its possession of nuclear weapons is a factor that must be taken into account. Judging by these metrics, the world is entering the next decade in a kind of bipolar state, strongly dominated by the US and China. If the EU is treated as a single power – including by its own members (say, by pursuing common policies) – it could represent a third pole. India, whose GDP is now growing at nearly 8% annually, could eventually comprise a fourth, but it has some way to go. This leaves the US, still, as the lynchpin of global cooperation. Coalitions can be built to address particular issues or on a regional basis; but preserving – let alone deepening – the existing system of global governance will be impossible without US support. At a time when the US is increasingly resisting and even actively undermining international cooperation, this is a source of serious concern. After all, as Robert Kagan recently pointed out, in today’s deeply interconnected world, we need rules and institutions to govern markets and economic activity more than ever. This will only become more obvious as new technologies like artificial intelligence and genetic engineering pose political and ethical issues that must be addressed on an international level. Of course, the US is far from united in its opposition to multilateralism, and the country has so much to gain from openness and cooperation that it may embrace its previous role again within a few years. In the meantime, however, it is essential for other actors to continue to use and encourage multilateralism at every opportunity. Limited sectoral or geographical cooperation can be achieved and should be promoted whenever possible. More broadly, the larger ideological battle for a rules-based international system must be fought using a strong dose of global civics as an antidote to neo-nationalism. The tactical defeats currently suffered can be reversed if the ideological battle is won. Given the need for inclusive cooperation, adapting and strengthening a rules-based and ethical global governance system is crucial to securing long-term peace and progress. Given America’s continuing “size,” it is critical for the world as a whole that the US is fully engaged and again becomes a global-governance leader for the digital age.